The most powerful weapon a labor union can unleash against an unwitting employer, whether unionized or not, is a strike. Strikes, however, can take different forms and arise under different circumstances. 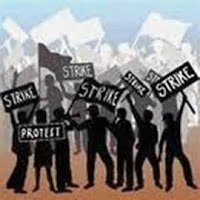 Last month, the National Labor Relations Board’s (NLRB) Office of the General Counsel (GC), the prosecuting arm of the federal NLRB agency, issued a short but powerful memorandum regarding an increasingly common union tactic: intermittent and partial strikes. While the Board has generally held that such strikes are not protected under the National Labor Relations Act, the GC took issue with this established Board law and advocated for a change. 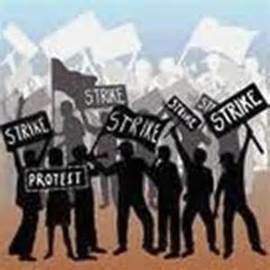 (3) The employees’ purpose for striking is made known to the employer. Notably, the GC stated that adopting this change would increase the rights of non-union workers to engage in protected strikes. While employers may not fully appreciate the position for which the GC advocates, there is no denying that the issue is as relevant as ever. Nationally, the “Fight for Fifteen” amongst fast food and retail workers has spawned several one-day strikes that have severely disrupted operations and left employers and employees with unanswered questions about their rights during limited strikes. Locally, the Minnesota Nurses Association recently engaged in multiple strikes of varying duration during the same contract dispute with Allina Health System. If the legal changes advocated by the GC were in effect, the changes likely would have altered the strategies implemented by both the unions and employers involved in these labor disputes. While the GC’s position is not yet Board law, employers should still take notice. Many of the GC’s enforcement priorities in recent years have eventually been legitimized by the Board. Employers, both unionized and not, should be mindful of this new position advocated by the GC when responding to intermittent or partial strikes by their employees. If they discipline a worker engaging in this tactic, they may find themselves under investigation by the NLRB, and the target of the GC’s most recent priority.